No need to fear, there are no nudes in this post just a gal getting happily excited about an amazing skin product that I’ve been wanting for absolute ages! Lets get started shall we? First off, I’m not keen on foundation even though I do own one. The lovely no.7 foundation is great, has fantastic coverage however I just don’t like it. It can feel heavy plus restricting at times, even though I prep my skin beforehand really well!! I do however love moisturiser, tinted moisturiser to be exact. I’ve been looking for ages for one that hydrates but also covers like a foundation, without the heaviness of one. I tried a many, but to no success. So I continued my search that seemed to have no end when finally, I found one!!! From one of my favourite brands too!! 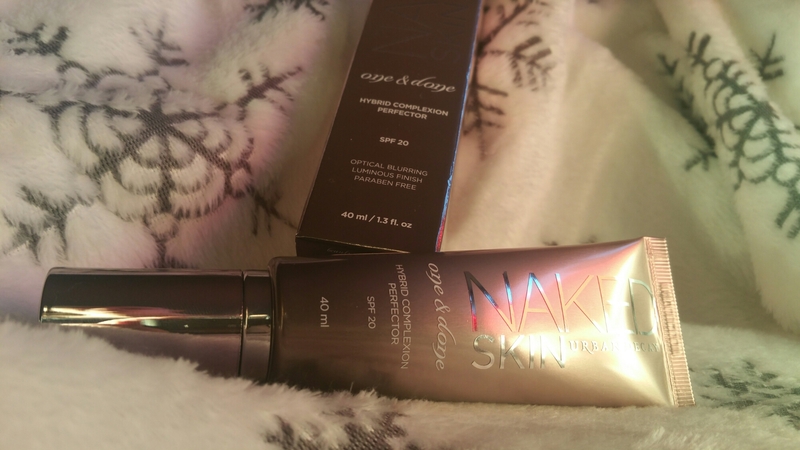 The Naked Skin One & Done hybrid complexion perfector SPF 20 in the shade Medium Light is beyond perfection. A mix of a foundation and a hydrating moisturiser. I just need a small ish amount (not nearly as much as foundation) and it covers beautifully. It’s light weight, moisterising and fits my skin tone perfectly. It blends seemlessly while working well with my conclearer. I had tried this before I got this one. I had used it within 2 days and wanted it. So my lovely sister got me the 40ml bottle for Christmas…….or in my case an early Christmas. I’m not complaining. The packaging is sleek, with a great little squeezy pump. I love using my fingers to cover then a brush to buff it out. Honestly I’m so glad I came across this baby, it will defo be replacing my foundation that’s for sure.